October 7, 2017 – The Arleigh Burke-class guided-missile destroyer USS Mitscher (DDG 57) fired Standard Missiles-2 at the incoming Mirach and Firejet anti-ship cruise missiles as part of a no-notice launch of anti-ship cruise missiles in the IAMD exercise scenario. 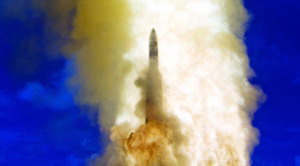 July 29, 2015 – The SM-2 Block IV was successful at intercepting a short-range ballistic missile. March 26, 2009 – This mission was successful following the simultaneous engagement of a short-range ballistic missile in terminal phase and a cruise missile. Both targets were intercepted. June 5, 2008 – The SM-2 Block IV successfully intercepted a terminal phase target launched from a mobile launch platform. May 24, 2006 – This test marked the first sea-based intercept of a ballistic missile in its terminal phase by the SM-2 Block IV. August 31, 2007 – This test was considered a successful classified flight test. December 11, 2003 – This mission tested a new modification to the interceptor to allow it to function with reduced capability. This mission produced another successful intercept. June 18, 2003 – This test failed when the interceptor’s divert and altitude control malfunctioned. This was the first failure of this model. November 21, 2002 – This test was deemed a success after the missile’s Kinetic Warhead acquired, tracked, and diverted into the target. This marked the third successful intercept for the SM-3-0. 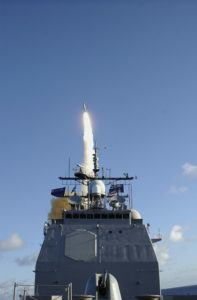 June 13, 2002 – Aegis SM-3-0 succeeded in intercepting a unitary target missile, marking the completion of the Aegis LEAP Intercept Program. January 25, 2002 – Although this mission did not require an intercept to be successful, the interceptor still collided with the test target. It was the first successful interception of a ballistic missile fired from a sea-based platform. November 1, 2008 – This test had mixed results. One target was successfully intercepted, while the second one was not. November 17, 2005 – This was the first mission to utilize a target missile with a separating warhead more closely resembling a real-world threat. The SM-3 Block I was not fooled and still managed a successful intercept. February 24, 2005 – This flight test marked the first test of the SM-3 Block 1, which yet again demonstrated the system’s ability to destroy an enemy ballistic missile. October 20, 2015 – The SM-3 Block IA was successful at intercepting a target launched from the UK’s Hebrides Range, northwest of Scotland. 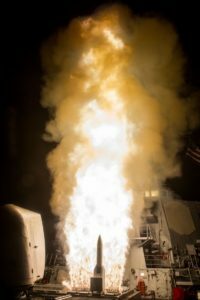 September 10, 2013 – The purpose of this test was to show that the Aegis and THAAD could work together in a layered defense system. Both intercepts proved successful. February 12, 2013 – Using the Space Tracking Surveillance System and Launch on Remote capabilities, the interceptor successfully destroyed a medium-range ballistic missile target. October 25, 2012 – This test failed when the interceptor suffered Inertial Measurement Unit Failure. 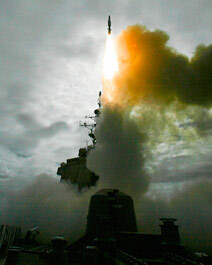 April 14, 2011 – This marked the first Aegis BMD successful intercept against a separating intermediate-range target. This was also the first test relying on remote tracking data. October 28, 2010 – The SM-3 Block IA successfully intercepted a target over the Pacific Ocean after developing a fire control solution. October 27, 2009 – This test was a joint action by the US and Japan, where the Pacific Missile Range Facility fired the target and a Japanese destroyer fired the interceptor. The test produced another successful intercept. July 30, 2009 – This test proved a success when the SM-3 Block IA intercepted a sub-scale short range ballistic missile. November 19, 2008 – This test failed when the interceptor’s divert and altitude control malfunctioned. This was the first failure of this model. December 17, 2007 – This test provided a successful intercept by the SM-3 Block IA missile off the coast of Kauai Island. The missile intercepted a ballistic missile target outside of the atmosphere. November 6, 2007 – This test achieved the first-ever double-interception of ballistic missile targets outside of the atmosphere. June 22, 2007 – The SM-3 Block IA successfully performed a “hit-to-kill” intercept of a separating, medium range ballistic missile. 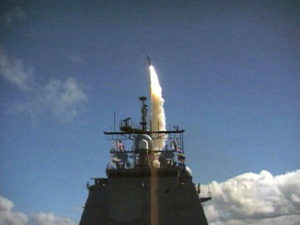 April 26, 2007 – This test marked the 8th successful intercept of the Aegis BMD. The SM-3 Block IA successfully tracked and intercepted a ballistic missile target. June 22, 2006 – This was the first test of the SM-3 Block IA. This test was deemed a success after the kinetic warhead tracked and intercepted the target. 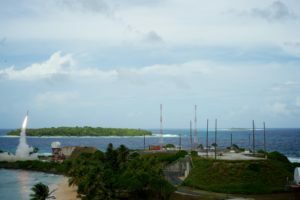 December 10, 2018 – A successful intercept of an intermediate-range ballistic missile in space was conducted from the Aegis Ashore test site in Hawaii. The interceptor relied on a non-native sensor for the entire test. 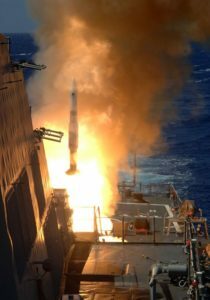 October 26, 2018 – An SM-3 IIA missile was launched from the USS John Finn (DDG-113) against a medium-range ballistic missile target. The SM-3 IIA successfully intercepted the missile. January 31, 2018 – The SM-3 Block IIA missile was launched successfully against an intermediate-range ballistic missile target, however, the interceptor did not successfully intercept or destroy the incoming missile target. While the test was deemed a failure, the MDA director believes the agency makes progress every time they conduct a test. June 21, 2017 – During this test the SM-3 Block IIA was successful in detecting and tracking the target missile, but a successful intercept was not made. This test was deemed unsuccessful by the Missile Defense Agency and the Japan Ministry of Defense due to human error. February 3, 2017 – This test was the first successful test of the newest version of the Standard Missile 3, the SM-3 Block IIA. 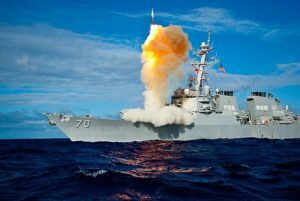 October 15, 2017 – During the 2017 Formidable Shield Exercise, the U.S. guided-missile destroyer USS Donald Cook successfully detected, tracked and intercepted a medium-range ballistic missile target with a Standard Missile-3 Block IB guided missile. December 10, 2015 – This test was the first intercept flight test of a land-based Aegis Ballistic Missile Defense (BMD) weapon system and the SM-3 Block IB Threat Upgrade guided missile. This successful test proved that the Aegis BMD capabilities will soon be operational on land as well as at sea. November 1, 2015 – The reasons behind this failure are unknown. The failure review is ongoing. October 4, 2015 – This is considered a ‘no-test’ because the target malfunctioned and the interceptor was not launched. June 25, 2015 – This is considered a ‘no-test’ because the target malfunctioned and the interceptor was not launched. November 6, 2014 – This was marked a success when a short-range missile was successfully intercepted by the SM-3 Block IB. October 3, 2013 – This marked the 28th successful flight test since the beginning of Aegis flight testing in 2002. September 18, 2013 – This was a successful test that was meant to be operationally realistic. The target’s launch time and bearing were not known beforehand, but the SM-3 Block IB still made a successful intercept. May 15, 2013 – This test was considered a success when the SM-3 Block IB intercepted a target while using an updated version of the Aegis BMD Weapons System, which would provide capability for engagement of longer-range ballistic missiles. June 26, 2012 – This was the second consecutive successful intercept by the SM-3 Block IB. 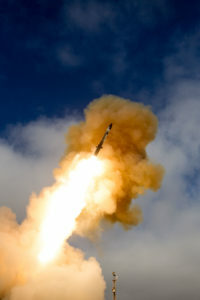 May 9, 2012 – This marked the first successful intercept of a short-range ballistic missile target by the SM-3 Block IB. September 1, 2011 – This test failed when the interceptor suffered third stage rocket motor pulse failure. August 29, 2017 – This test marked the second time the SM-6 Dual 1 intercepted a complicated medium range ballistic missile target and was the third successful test of the SM-6. December 14, 2016 – The second successful test of the SM-6 Dual 1 proved it was able to intercept a complicated medium range ballistic missile target. July 28, 2016 – This was the first test of the SM-6 Dual 1 and was successful when the missile intercepted a target in its terminal phase. 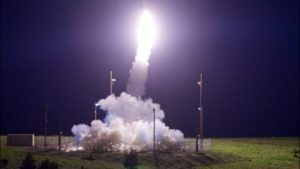 July 30, 2017 – A THAAD missile intercepted its target continuing the perfect record for THAAD missile defense system tests. 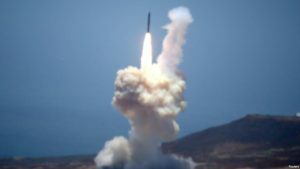 July 11, 2017 – A THAAD missile successfully intercepted a target missile launched from an Air Force Cargo Plane north of Hawaii. November 1, 2015 – This test provided a successful salvo/dual intercept. Both targets were intercepted and destroyed. October 4, 2015 – This event was considered a “no-test” when the target malfunctioned after launch. The interceptor was not launched. 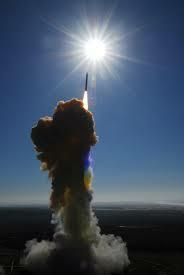 September 10, 2013 – This test stressed the ability for the Aegis and THAAD missile defense systems to work together. Both systems worked as planned and the test was considered a success. October 25, 2012 – This test marked the first time a THAAD missile successfully intercepted a Medium Range Ballistic Missile target. October 4, 2011 – This test provided a successful salvo/dual intercept. Both targets were intercepted and destroyed. June 28, 2010 – This test provided a successful endo-atmospheric intercept of a unitary target at lowest altitude to date. December 11, 2009 – This event was considered a “no-test” when the target malfunctioned after launch. The interceptor was not launched. March 17, 2009 – A THAAD missile successfully intercepted the target. This acted as a repeat of the mission that ended as a “no-test” in September 2008. September 17, 2008 – This event was considered a “no-test” when the target malfunctioned after launch. The interceptor was not launched. June 25, 2008 – This mission was considered a success when a THAAD missile brought down a target launched from a C-17 Globemaster III. October 26, 2007 – This mission proved THAAD’s capability to operate in extreme environments. A THAAD missile successfully intercepted an exo-atmospheric target. 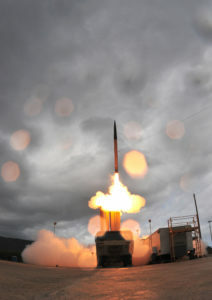 April 5, 2007 – This mission successfully tested THAAD’s interoperability with other elements of the Missile Defense System. THAAD intercepted a mid endo-atmosphere unitary target off the coast of Kauai. January 26, 2007 – A THAAD missile intercepted a unitary target just inside earth’s atmosphere providing another successful test for this program. September 13, 2006 – This event was considered a “no-test” when the target malfunctioned after launch. The interceptor was not launched. July 12, 2006 – This mission was considered a success when a THAAD missile intercepted a live target. May 30, 2017 – This test involved the new CE-II Block-I version of the kill vehicle, which successfully intercepted a ICBM target. June 22, 2014 – This test acted as a repeat of January and December 2010 tests, which not only provided a successful intercept, but also met the previously unmet objectives of those tests. July 5, 2013 – This test failed when the kill vehicle and booster did not separate. December 15, 2010 – This test failed to provide a successful intercept when the kill vehicle faced guidance errors in the final seconds of flight. January 31, 2010 – This test failed because both the kill vehicle and the system sensor had performance issues during flight. December 5, 2008 – This test launched both a mock warhead and an interceptor from different Air Force Bases and all components worked as designed. September 28, 2007 – Scheduled in response to the no-test in May, this test did yield a successful intercept. May 25, 2007 – The Missile Defense Agency considers this a ‘no-test’ because the target malfunctioned after launch and the interceptor was never launched. September 1, 2006 – This test was the first time that operational radar was used to capture targeting information. Primarily used to collect information on the intercept and act as a radar certification, this test was considered a success. February 14, 2005 – This intercept test was considered a failure when the interceptor did not launch after a silo support arm did not retract, triggering an automatic abort. December 15, 2004 – This intercept test failed due to a problematic software configuration that failed to launch the interceptor. December 11, 2002 – This intercept test failed because the kill vehicle and booster did not separate. October 14, 2002 – Considered a successful intercept, this test was the first test to use Aegis SPY-1 radar. March 15, 2002 – Not only was this test successful at intercepting a mock warhead, but it was also successful at ignoring two different decoys during the test. 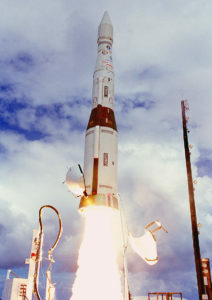 December 3, 2001 – This test was a repeat of the previous test, but used Orbital’s Target Launch Vehicle instead of Lockheed Martin’s Multi-Service Launch System. The test was successful. July 14, 2001 – This test repeated the previous test and successfully intercepted the target according to satellite, jet, and ground station reports. July 8, 2000 – This intercept test failed because the kill vehicle and booster did not separate. January 19, 2000 – This intercept failed because the kill vehicle’s infrared sensor cooling malfunctioned. October 2, 1999 – Despite an Inertial Measurement Unit malfunction, the kill vehicle was able to use a backup acquisition mode to acquire and intercept its target.